While we may just made it through the longest-feeling January of all-time, the reality is that the year is just getting started. And while we at These Days always have our eyes on what’s next that’s especially true at the beginning of the year. 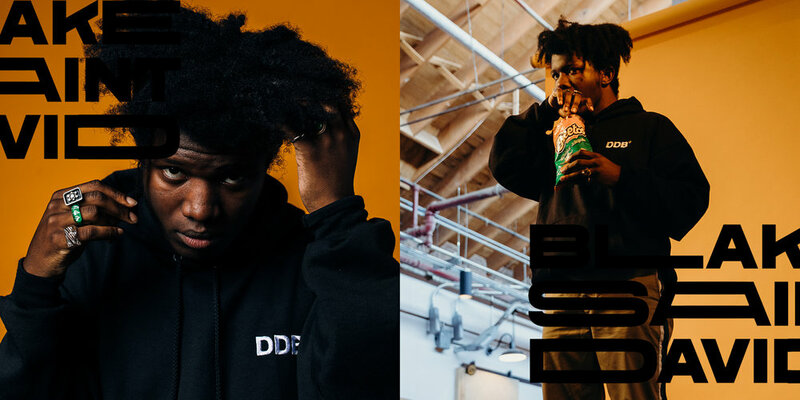 In late December of last year, we invited the eight young Chicago-based artists whose 2019 we’re most excited with to talk with us about their 2018, and what fans and new listeners can expect from them in the next 12 (er, let’s call it 11) months. 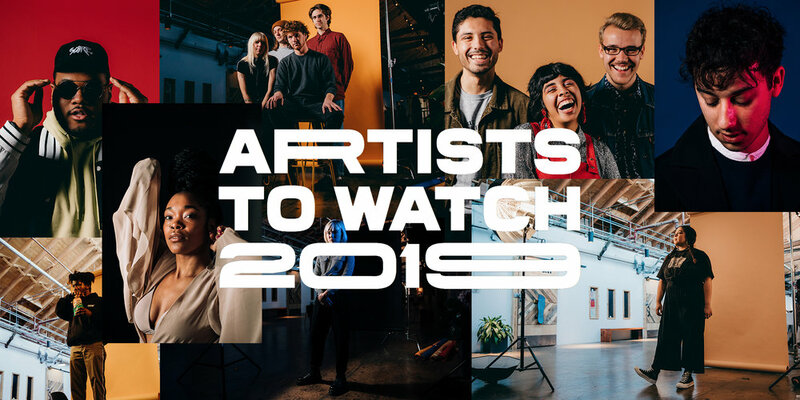 In lieu of a traditional cover story, we present to you our picks for Artists to Watch in 2019. Find a new favorite below. 2019 has already started for them in a big way, with “Stupid Games, Bad Ideas” racking up a quick 24k on Spotify at the end of January. Blake has something new planned on a monthly release schedule for the whole year, and hearing some of the concepts had me reaching for my billfold, hoping to catch a presale. ““D’avoir un envie et d’être un peu perdu dans l’expérience,” or, “to have a desire and to be a little lost in the experience,” is how Elias Abid would describe the feeling he wants to evoke through his upcoming solo debut. Elias, who has been making music since the age of 12, spent his childhood years in Kansas City and Paris, France before moving to Chicago to attend Columbia College. Moving here, Elias felt free to do what he wanted and he did that by creating a complex R&B - and eventually pop - sound with long-time collaborator, Chicago’s own Appleby. After working in music for over ten years, producing for the likes of Appleby and more, Elias now looks to turn that focus inward. In 2019, he will challenge himself to utilize different skill sets and explore new sides of the creative process. It will be exciting to watch him craft an entire musical experience with himself as the star, taking listeners and fans along with him on his journey as a solo artist. Chicago recently welcomed Jackie Carlson (AKA Family Reunion) from her home base of Waukegan, IL. Already making waves in the past year billed alongside the likes of Ric Wilson at Lincoln Hall, Carlson is expanding her active fan base and flourishing now that she has moved to the city. After turning down a college Jazz vocal studies track to pursue her own vision, Carlson says she is going into 2019 with a jazz-focused sound. As her rolodex of collaborators and producers becomes more robust, Carlson describes plans to pivot her approach this coming year with more guitar and live instruments, contributing to a richer ensemble format for live performance. 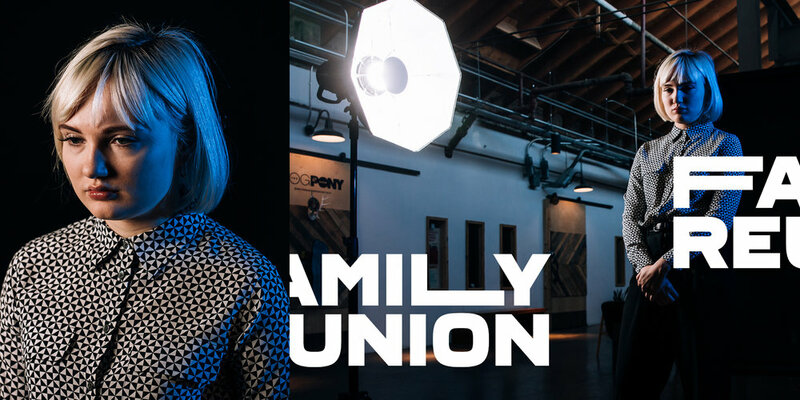 We do not expect to tire of Carlson’s frequent reinvention of herself as Family Reunion, making her one of These Days’ Artists to Watch 2019. While Girl K has been releasing music since 2017, it wasn’t until this past summer that the band entered my radar thanks to an amazing performance in front of a sold-out crowd for Beach Bunny’s album release show. The band, which originally started as a solo project by guitarist/vocalist Kathy Patino, has quickly become one of the city’s best rising acts with their brand of dreamy indie-pop that channels feelings of idyllic nostalgia wrapped in warm hugs. Girl K released a series of singles throughout 2018 that illustrated the band’s growth since their 2017 debut, Sunflower Court. However, thanks to the addition of members of local indie band, books, following a lineup change in late summer, the seeds of the band’s evolving sound can be found in their most recent single, “Dog Year Lungs.” With a slot on this year’s Tomorrow Never Knows Fest and an upcoming album slated for release early this year, Girl K is carrying their momentum over from 2018 to show why they’re one of the faces of Chicago’s growing indie-pop/rock scene and one of our artists to watch in 2019. 2018 was a big year for Kaina. She has proven herself for years in the local Chicago music scene as a staple talent on the albums of several collaborators including the O’My’s and Ric Wilson, but last year, the Irving Park native stepped out on her own with her first solo EP 4U. Among a laundry list of accomplishments alongside the project’s release, highlights included: opening for singer-songwriter Kali Uchis with the help of Twitter and appearing on Saba’s NPR Music Tiny Desk Concert. Kaina is working on new music for 2019 where she will expand her musical repertoire and explore new sides of her identity and personality. While known for warmer and happier songs primarily about love, Kaina now wants to give listeners an opportunity to hear her express anger, frustration and the full range of human emotions. As a beacon of light for young Latinx artists in Chicago, Kaina invites listeners to dive with her into what it means to be a first generation Latina both in today’s political climate and the current music industry. Having gifted the city so much of her talent in six short years of performing, expectations are high for Kaina in 2019. Nearly two years ago, St. Louis native and haunting vocalist, Loona Dae, debuted her first solo project, Phases EP. It was an immensely personal collection of six spellbinding melodies that brought listeners in deep, right to the core of Dae’s mind. Her lyrics and vocals delivered a casual, disarming vibe that sounded something like catharsis. Just this past month, Dae opened a big 2019 with her second solo project, and EP titled Moonflower. On Moonflower, Dae looked inward for inspiration, and the EP’s title was inspired by Dae’s own experience with “blooming through darkness” and her “allowance of vulnerability.” Moonflower also represents Dae’s growth as a multidisciplinary artist, and she handled the production for one of the EP’s standout tracks, Ultraviolet, herself in order to get the sound just right - just Dae. In the time before Moonflower’s release, Loona Dae worried little about a perceived “delay” in her releases, because to her there’s no such thing. She’s running her own race. She simply asks herself if she loves the music. If the answer is yes, then it’s ready. If not, then it isn’t. We’re hopeful for more “yes’s” from Loona Dae this year. Chicago made a tremendous pickup this past year with all of the members of Slow Pulp deciding to move to the city. The band had always had an affinity for Chicago, but was based out of Madison temporarily while the majority of its members finished up school there. Throughout their time in different places, they built up a solid foundation online and gained a strong reputation as a live band, recently selling out Lincoln Hall. With the Chicago community already embracing them, the group is now completely focused and looking to dig deeper into their abilities to see just what they can do. First and foremost, the band is working on another EP, one that could prove a watershed moment for them now that they have committed to themselves and their new home. They are continuing to tour relentlessly as they build their identity as a group, creating new fans as they go along that will quickly identify them as their favorite new band out of Chicago. As they plant their individual roots in the community, it will be exciting to see how the talented members mix with other musicians and what other potential side-projects could come out of it. The group, however, is sure to become a local favorite with a rapidly growing national audience. Solo Sam approaches 2019 calm, but focused. The Chicago rapper spent 2018 diligently developing his live performances and honing his songwriting chops, gaining momentum towards a culminating opening set for Freddie Gibbs at a sold-out Park West show. He points out that “one of the few things that I expect is development and growth, I always strive to look at my previous year...if I made advancements and gains in what I’m doing”. This year, he expects those advancements to come full circle. “In Greek mythology it’s like the hero cycle...You start the journey, you reach the belly of the beast… That’s your awakening, and you come back. It’s like tying everything together from previous years and completing a story that everyone’s watching.” And the people are watching. “It really is a great feeling to see the fans that continued to support after I released ITIS, the way they supported the single showed that they are listening and wanted more from me.” We’re listening, and we definitely want more Solo Sam in 2019.